Kashmir Shaivism is a non-dual yogic science originally developed in Kashmir, in far northern India, in the 8th through the 12th century, as an expansion upon original Shaivism, the origin of which extends back beyond recorded history, making it one of the oldest unbroken wisdom traditions in the world; possibly the original one. Kashmir Shaivism is also coming to be known as Advaita Shaiva, which translates as Non-Dual Shaivism, or the Wholeness of Awareness. The wisdom of Kashmir Shaivism has continued as a steady stream since that time, and it has enjoyed a powerful and profound global expansion in the late 20th and early 21st centuries. It might be helpful to briefly discuss the symbolism of Shiva. Shiva is often called the “destroyer”, part of the three-person Godhead of Hinduism: Brahma (The Creator), Vishnu (The Preserver) and Shiva (The Destroyer), which leads to the perception of a destructive, violent and angry deity, for those who may not be familiar with the nuances of Shaivism and Hinduism. 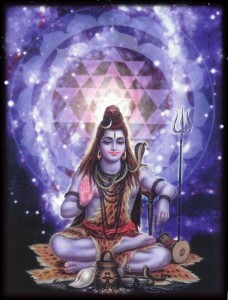 However, even the very name of Shiva clues us into Shiva’s true nature. Shiva means “the one who blesses”, “the beneficent one”, in Sanskrit. Brahma is only the Creator moving in the direction of objectivity, manifestation into form. In terms of Living Unbound, it is Shiva who is the Creator; the ever-restful ground of unagitated awareness which is our true self, our true nature. The Living Unbound system draws from all wisdom traditions, and from all areas of knowledge, though it was originally inspired and influenced by the clarity, power and efficacy of Kashmir Shaivism, and its three levels of teachings and techniques. This page will list some of the key resources connected with Kashmir Shaivism. Below, please find links to some key overviews of Kashmir Shaivism presented via online overviews, including audio and video files of the teachings of the most globally-influential guru of Kashmir Shaivism, Swami Lakshmanjoo. I am a 50 year-old man from Scotland – currently living in north Spain – who has just recently discovered Kashmir Shaivism with great excitement! Can anyone advise me on finding a guru/acharya/teacher in this tradition? Hi Richard, Thanks for your comment. One thing I find appealing about Kashmir Shaivism is its universality, meaning: it offers a good framework for directly realizing enlightenment, liberation and ongoing wholeness in your own experience. And, therefore, the best teachers, mentors, etc. are those who can pragmatically speak to truth in the real world, regardless of tradition. I find the work of Peter Wilberg (linked on this page, under Sages) to be very useful, and he is based in the U.K. Most details on Kashmir Shaivism came to the West via Swami Lakshmanjoo. He passed away in the early 90s, but his disciples continue his lineage via the Universal Shaiva Fellowship (also linked above). I also highly recommend the works of Daniel Odier, specifically his translation and commentary on the Spandakarika. Quite a few people have reported finding value in the book Consciousness Is Everything: The Yoga of Kashmir Shaivism by Swami Shankarananda – it’s a bit more down-to-earth than some of the other texts, and, therefore, helps relevant principles to be more clear, for some people. Finally, you’re welcome to post at the Living Unbound Community (last item on the menu above) – we’re not solely Kashmir Shaivism focused, but some of us are familiar with it, and we’re always happy to discuss it, or any other aspects of spirituality / consciousness. I’ve probably studied Kashmir Shaivism the most extensively, and have the most affinity with it, in terms of anyone associated with Living Unbound – and so, feel free to drop me a line via email, at doug (at) livingunbound.net .